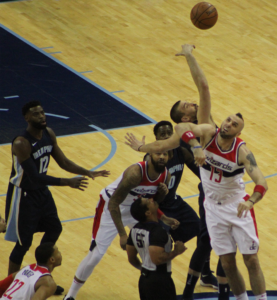 Grizzlies fall flat against the Wizards (102-100) on Beale Street during Wrestling night. Memphis is now 1-12 against Eastern Conference teams this season. 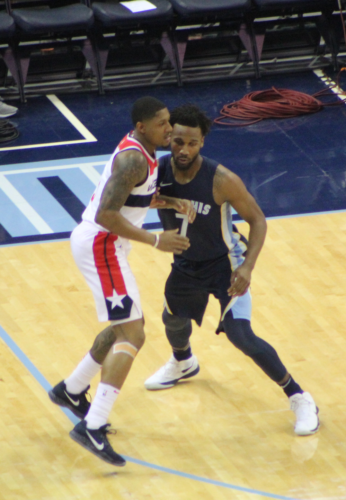 The tag team of Bradley Beal and John Wall were too much for Memphis to handle on Wrestling night at the FedExForum. The duo combined for 59 of the Wizards’ 102 points and hit eight of the team’s 10 three-pointers. Beal finished with a game-high 34 points while Wall added 25 points and nine assists. Bradley Beal and Wayne Selden, Jr. The Wizards won the game despite shooting just 39 percent from the field. “To win on the road shooting 39 percent means we played the defense it takes to win on the road,” said Wizards head coach Scott Brooks. 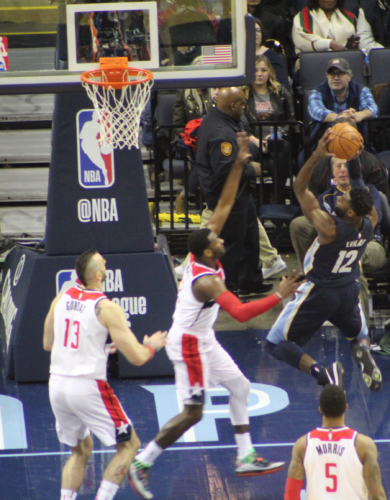 Tyreke Evans led the Grizzlies with 26 points and seven assists, while Marc Gasol added 17 points and 11 rebounds. Gasol has recorded his 16th double-double of the season. Mario Chalmers ended the game with 13 points. Despite their predicament, Gasol thinks the team still has time to turn its season around. “What are we 6 games, 7 games out of the playoffs? How many games have we played 41? 42? 39, so we’ve got over half the season to turn things around — that’s the way I look at it,” said Gasol as he sat at his locker after the game. The Grizzlies will host the New Orleans Pelicans on Wednesday, January 10th.